I wanted to build Helium with yay but at this point in time that is not possible. 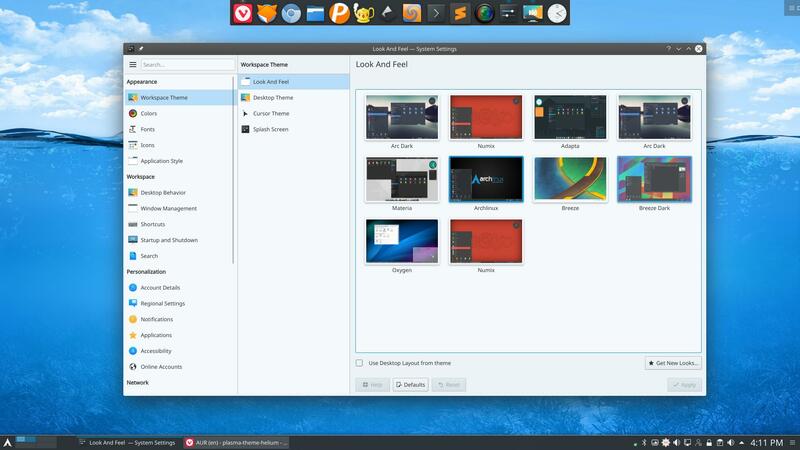 In that case we install one of the 47 themes for plasma that AUR provides us. We choose to install plasma-theme-archlinux.